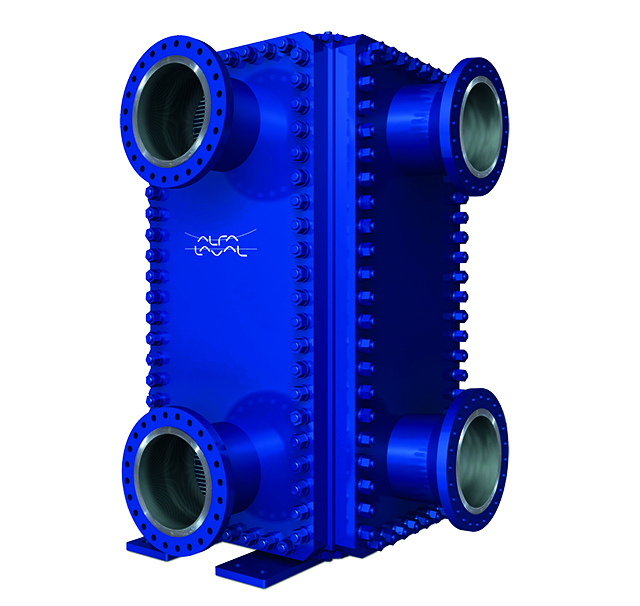 Dow Wolff Cellulosics, Belgium, installed two Compabloc compact heat exchangers from Alfa Laval for different duties in one of the plant's solvent recovery columns. Less space. Lower costs. More heat recovery. An Asian petrochemical company that extracts benzene and toluene from an aromatic-rich stream wanted to increase production capacity, but space was limited. In its efforts to continually implement sustainable practices in its operations, Petronas has invested in cutting-edge energy efficient technology. Compabloc is an unrivalled champion that stands out among other heat exchangers – including other bloc-type designs. It derives its uniqueness from our patented innovations, based on decades of experience in thermal transfer. Combined, these features lead to more reliable and efficient performance, helping you to save energy and improve your sustainability. End-to-end laser weld of the plates guarantees accessibility and protects against corrosion. Free-flow channel at plate boundaries secures efficient removal of fouling. A high-pressure, cleanable plate pattern that increases mechanical strength to improve thermal performance. True onsite service by skilled engineers, anywhere in the world. We will be happy to discuss the benefits a Compabloc can bring you and show how we can help improve your operation.